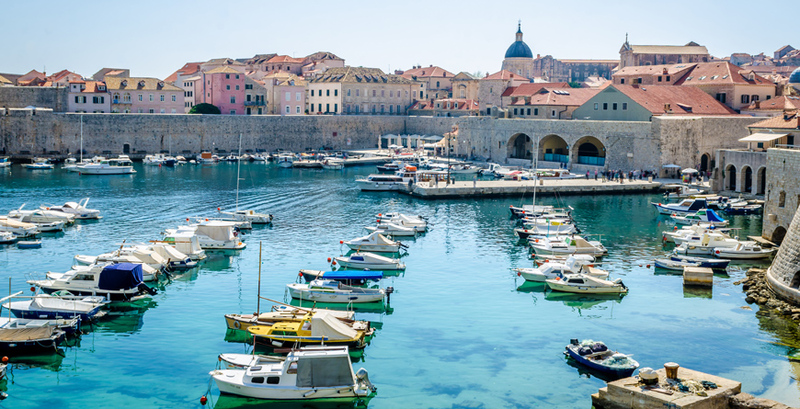 Croatia's spectacular coastline, clear blue waters, pine forests, historical towns and picture-perfect fishing villages provide the ideal ingredients for a fabulous family holiday. The exquisite Roman, Venetian and Byzantine legacies offer a varied and very scenic architectural landscape. Not surprisingly, given its rich maritime past and pristine waters dotted with pretty islands, Croatia is popular with sailing enthusiasts. An efficient and extensive ferry network gives you every opportunity to explore the picturesque islands. 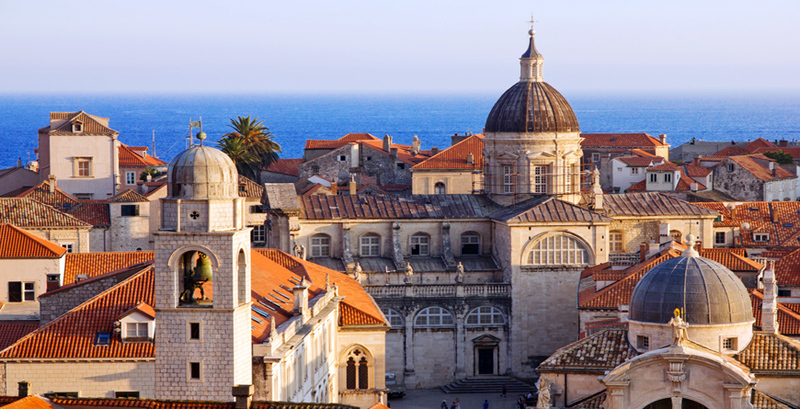 Dubrovnik is known as the Pearl of the Adriatic for good reason. ‘Those who seek paradise on Earth should come to Dubrovnik and find it,’ said George Bernard Shaw, and in our opinion he was spot on. Oozing charm it is the sort of place you could lose yourself in with its scenic cobbled back-streets, romantic squares, magnificent beaches and plentiful historic legacies of a rich, if turbulent past. Wonderfully restored, the old town is now a listed UNESCO heritage site. The ancient city walls offer a ready-made walking tour, with cosy cafes perched precariously on the rocks offering the chance to sit back, cocktail in hand whilst you drink in the stunning sunset over the nearby Elaphiti Islands. Spend your evening browsing the menus of the restaurants lining the harbour before you make your choice, but don’t miss the delicious sea-food for which the city is famed. Whilst many are happy to simply find that perfect beach or poolside spot to soak up the sun, rest and relax, there is much to lure you out and about. A popular option with children and adults alike is the cable-car ride up Mount Srđ for glorious views of the city and the Adriatic. If you enjoy hiking, you might take the cable car up then walk back down, following the Mount Srdj Ropeway. For a fascinating dose of history, head to the beautiful 15th Century Rector’s Palace & Cultural History Museum, see the Sponza Palace or visit the Maritime Museum. Art buffs shouldn’t miss the Museum of Modern Art. For those who want to venture to the lesser known areas, the Istria region is sure to appeal to foodies with its truffles, olive oil and wild asparagus. Meanwhile Croatia’s inland national parks are home to mountains, waterfalls and lovely lakes, whilst Zagreb, the capital and the northern region offer everything from cafe culture to castles and countryside. The best weather is in the Summer months of June, July & August. Hvar Island gets the most sun, followed by Split, Korčula Island and Dubrovnik. As you might expect, this is peak season so prices are at their highest and coastal destinations at their busiest. Spring and Summer are fantastic times to visit Croatia, with very pleasant coastal temperatures. The Adriatic is warm enough for swimming, the crowds have usually disappeared and prices are lower. Not only that, but the steady maestral wind makes it a great time of year for sailing. Winters are cold and prices are low. The Christmas period ensures buzzing streets, even with the snow, plus there's skiing too. Flights: There are plentiful flight options with BA and Croatian Airlines as well as low-cost carriers, such as Ryanair and Easyjet amongst others. The flight time from London is around 3.5 hours to Dubrovnik'sDubrovnik Airport (DBV), also referred to as Čilipi Airport, which is about 10 miles outside the city.